Marcia Malzahn was embarking on a new business venture, Malzahn Strategic, a management consultancy serving the community bank market. We were engaged to help create a brand presence and supporting materials that would help establish Malzahn Strategic as a preferred resource for community banks seeking to strengthen their enterprise risk management program, and establish a solid organizational infrastructure and operational foundation. 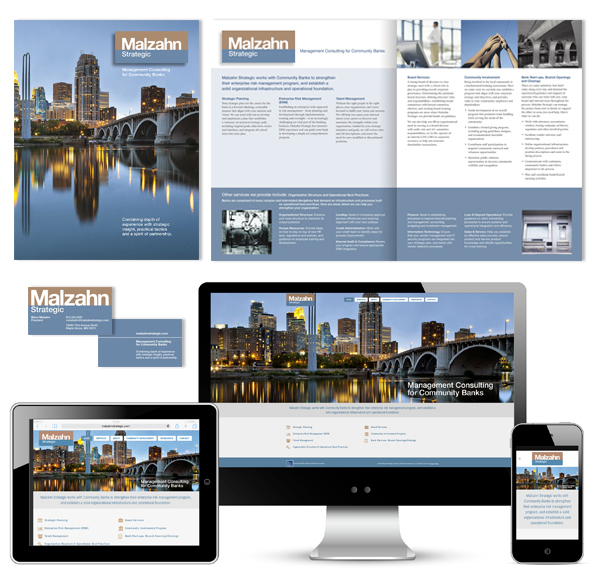 Malzahn Strategic is empowered with a website and marketing support materials that communicate experience, knowledge, professionalism and credibility, and have provided the foundation for a highly successful business launch.